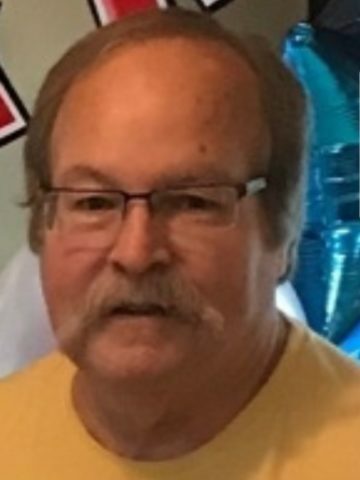 Mr. Charles Linton Stanley, Sr. age 68, of Hendersonville, TN, passed away on Friday, January 12, 2018. Mr. Stanley was born in Roanoke Rapids, NC, on September 1, 1949, the son of the late Marvin Van Stanley and Ruth Marie Price Stanley. He retired from Piedmont Natural Gas Company. Mr. Stanley enjoyed collecting antiques, music, dancing, history, and Christmas. In addition to his parents, Mr. Stanley was preceded in death by a brother, Van Stanley. Survivors include his wife, Junice Stanley; a son, Charles Stanley, II (Stephanie); a step-daughter, Stacey; a granddaughter, Christian; five brothers, Phil Stanley (Lois), Gary Stanley (Gail), Dennis Stanley (Alesa), Barry Stanley (Kristi), and Brian Stanley; a sister, Brenda Gray (Eddie); mother-in-law, Doris Irene Jernigan; and sisters-in-law, Sandra Levent and Regenia Wheeler (Fred). Several nieces and nephews also survive. A Celebration of Life will be held Saturday, January 27, 2018, from 2:00 P.M. until 5:00 P.M. at Mr. Stanley's residence. 6 Comments to Charles Linton Stanley, Sr.
Sweet Stanley family our thoughts and prayers are with each of you. You will forever be missed and loved. We love you. Sweet Stanley family our thoughts and prayers are with each of you. You will forever be missed. We love you. We will be there in spirit. Love you all!